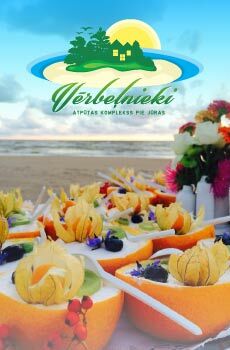 Camping and holiday cottages in Ventspils region "Mikelbaka"
"Miķeļbāka" seaside camping in Ventspils region - a place of peace and quiet in beautiful landscape. Family holiday cottage No. 1. Family holiday cottage No. 2. ​Well maintained house for a family with a bedroom, living room, kitchen, WC and shower, Sat TV. Kitchen is fitted with fridge, electric stove, kettle, dishes. There is a double bed and a crib in the bedroom. The living room has a double sofa. Bed linen and towels are included in the price. The house is set for four people. During the low-season the house is heated with electric heaters. Camp site table with chairs and grill are available for use outside the lodge. We can sell grill coal or firewood. ​​It is possible to rent a lodge for 4 or for 6 people. Lodges comprise of separate bedrooms, kitchen and WC/shower. Kitchen is fully fitted with all necessities (gas stove, dishes, kettle, fridge). Bed linen is included in the price. Camp site table with chairs and grill are available for use outside the lodge. It is advisable to bring along drinking water and change of shoes (slippers). ​Camping house with a double bed and a kitchenette. The house comprises of fridge, kettle, electric stove and set of dishes for 2 people. Bed linen is included in the price. Camp site table with chairs and grill are available for use outside the lodge. We can sell grill coal or firewood. The house has its own patio, arbor and fireplace. You will be able to enjoy a pleasant and quiet vacation. ​The camping house is located on a beautiful meadow amidst pine woodlands, only 100m from the sea. Camp site table with chairs and grill are available for use outside the house. Household building with WC and showers is located next to the house. You can rent a grill by making an advance booking. We can sell grill coal and firewood. During the low-season the house is heating with electric heaters. Each house comprises of its own fridge, table with chairs, one double bed and one bunk bed. Bed linen is included in the price. Place for camping with campers, a connection to the electricity and sewerage. You can rent a grill, purchase the wood. Check-in: from 15:00. Check-out: till 12:00. Camping places for tents. There is a fireplace, an outdoor furniture. You can rent a grill, purchase the wood. @ Wireless Internet access in the territory of the camping. Camping has summer-season cafe. Cafe hours 8:00 to 22:00. There is volleyball, soccer fields and various playgrounds in the camping. We organize sport games in the camping territory and on the beach. By prior arrangement we provide: boat rental, horse riding. Fishing in the Baltic sea. Fishermen go fishing plaice right on the seashore of th sea. You can stay overnight at one of our holiday cottages with amenities. You can park a car within our camping area just 50 meters from the seashore. The hosts speak English, Russian and Latvian. - Place for a camper 15 EUR / night per camper and 2 persons. Every additional person - 5 EUR / night. Price per night per dog - 2 EUR. - Place for a tent One double tent - 3 EUR / night. Price per 1 adult - 5 EUR / night. Price per 1 child - 2,5 EUR / night. Price per 1 dog - 2 EUR / night. A place for a car at the tent - 3 EUR / night. You can also book the accommodation by phone +371 27884438 or e-mail martins@mikelbaka.lv (answer to your e-mail can take some time). - The chosen holiday cottages or other type of accommodation. - Number of staying nights. - Number of persons (adults and children). - Your contact details (phone no., e-mail).